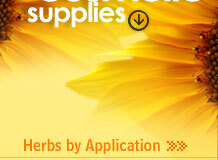 Wholesale suppliers and exporters of Mint Oil, Spearmint Oil, Mentha Leaves, Mentha Oil, Mentha Spicata and Mint Crystal. A glabrous perennial, 30-90cm high, with creeping rhizomes, leaves smooth or nearly so, sessile, lanceolate to ovate, acute, coarsely, dentate, smooth above, glandular below, flowers lilac, in loose, cylindrical slender, interrupted spikes. Major components in the spearming oil are carvone, dipentent, dihydrocarveol, dihydrocarveol acetate, and limonene. Mint oil is commonly used for medicinal, culinary and cosmetic purposes. Mint is well known for its ability to ease indigestion and upset stomach. The menthol in mint can help clear sinuses and relieve cold symptoms. In some cases, mint is used to alleviate migraines and fever. It is best to consult a physician before self-treating any potential ailment or symptoms. Mint is Aromatic, cosmetic, culinary, and medicinal. Fresh or dried mint leaves scent sachets and potpourris. Spearmint is used in baths to refresh and cool skin, in facials to cleanse the skin, and in lotions. Mint oil has wide uses in tooth paste, mouth wash, chewing gum, candy, hair oil, perfume, cigarettes and cosmetic products. Mint oil can be found in a wide variety of common household products, ranging from tea to toothpaste. The oil is gathered via a distillation process whereby the mint leaves are steamed, allowing natural oils to surface. It can take hundreds of leaves to produce just a few teaspoons of mint oil, but just a couple drops can be extremely powerful. Mint oil is also frequently added to massage oil, lotions and shampoos. Many renowned chefs include mint oil in their recipes to add flavor. It is also widely used in candy, cookies, jellies, and of course, chewing gum. The juices and drinks use freshly crushed mint leaves. Mint imparts a clean, refreshing taste, making it a popular ingredient in many types of foods. The home fragrance industry has capitalized on mint as well. Mint oil is often used in potpourri, sachets and room sprays. It is usually combined with other fragrant herbs such as lavender or bergamot and lends a revitalizing quality. The green leaves of the plant are used for flavouring culinary preparations, vinegar, jellies and iced drinks. The oil is used to flavour chewing gum and candy, non-alcoholic beverages, baked goods, gelatin and puddings, ice-creams etc. 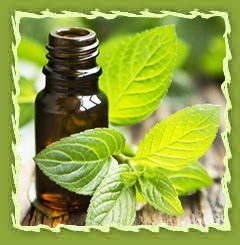 Peppermint and spearmint essential oils are said to improve symptoms of asthma, exhaustion, fever, sinusitis and vertigo. Whole plant; carminative, antiflatulent; locally apply to temple to relieve headache and use for sprains.